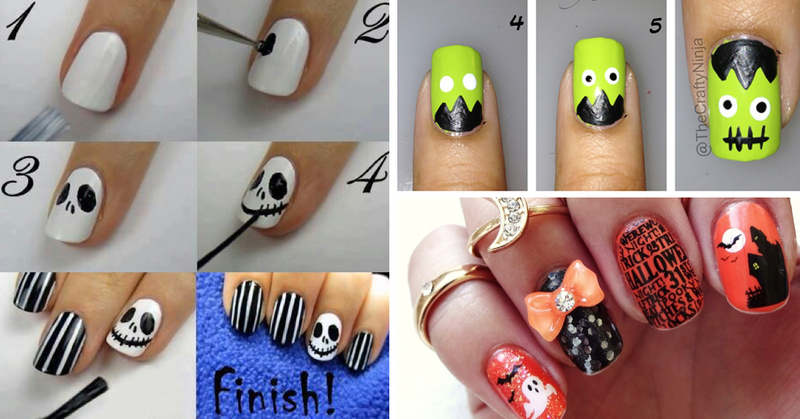 Spooking it up with cute and trendy Halloween nail art ideas this time! Halloween would be knocking soon, and the ghosts and ghouls want the prettiest of lasses and ladies out there to run around with. 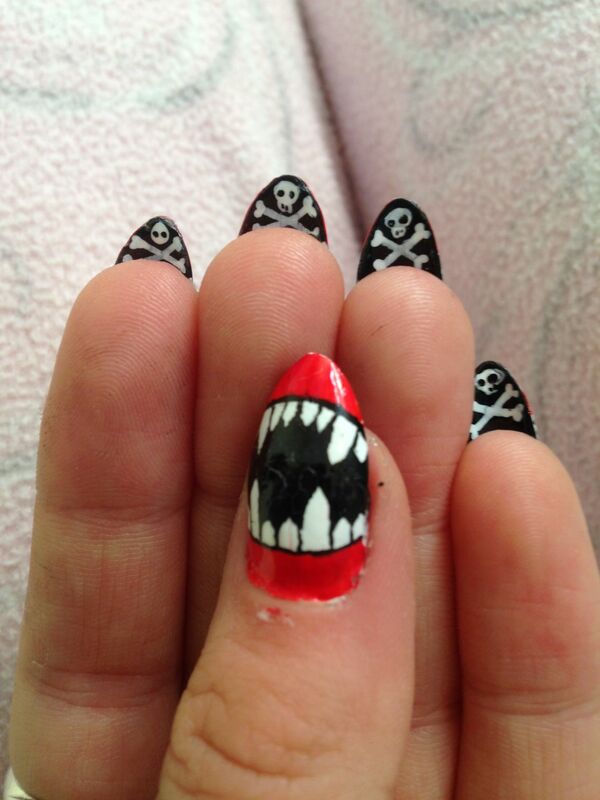 So get ready with your costume, your makeup and don’t forget the spookiest of nail art ideas that you can embark upon. You don’t have to spend a bomb on the nail art ideas you see around or have in mind. We have brought to you a couple of them with step-by-step infographs to show you how to do it! take a look! 1. Creepy eyes: What you need is white base for the nails with black nail polish to create spooky web designs around. A little red polish to create two red eyes that would bring on the spooky look. 2. Arachnophobia this Halloween: Some of us hate spiders, and some of us love them. For those who love spiders and would want to freak out the rest, here is an infograph that shows you how on an orange nail base you could create mini spiders. 3. Casper nails: Casper the friendly ghost was our all-time favorite movie growing up. This is why we shall hail Casper from the dark and bring him onto our nails this Halloween. If you fancy the idea much like we do, here is a tutorial that shows you how to create Casper on your nails. 4. Creepy Halloween vines: Branches and vines form the folklore of all things creepy, and when done on an orange base with black designs, it just doesn’t get any less imaginative. To enhance the look and re-create the scene, here is a tutorial that shows you how to make the creepy hollow vine on nails come through. 5. Cute vampires: Let’s have cute vampires on our nails this time. White base as nail polish can be used over which black, reds, greens and other colors can create cute vampires with the help of a thin brush. Take a look at the steps given below to manifest the cute vampire on nails. 6. Goblins lurking in the dark: Halloween is a time when goblins would lurk in the dark, which is why we want to wear them on our nails as well. To create the look, you would need black nail polish for the base and white for the goblins with hints of red as well. Here’s a way to do the goblin on nails look the easy way. 7. Bone-fied nails: The bone-fied nail look is a raging trend this Halloween season, with black nail polish for the base and white polish for the skull. One doesn’t have to spend a bomb or too much time to achieve the same. Take a look and get inspired. 8. 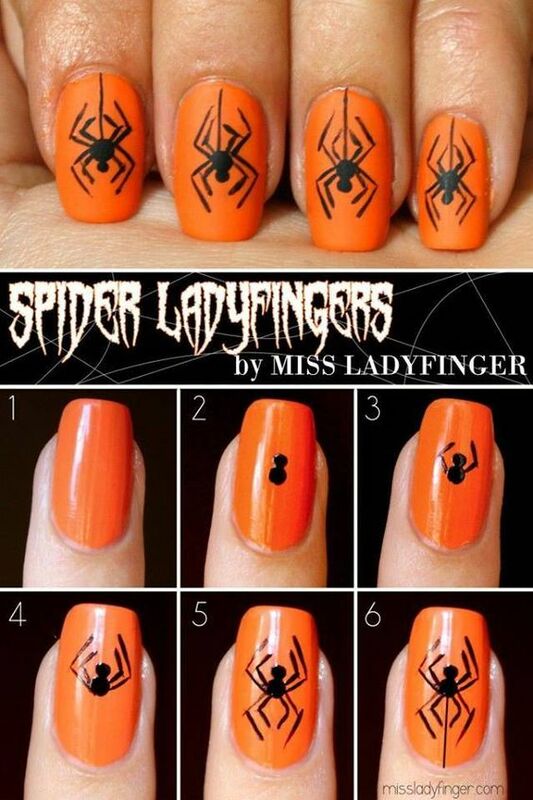 Spider web nail art: Spider webs are the most happening themes for Halloween, decor wise, clothing wise and now with nail art too. Black would be the base for the nail with white as spider webs created, but you can go vice-versa too! 9. Burnt nail art: Creepy as hell, imagine having your nails burnt! Well that is exactly what Halloween is about. It is meant to creep you out. To have the burnt nails nail art, here is a tutorial that shows you what to do. 10. Bloody splatter nail art: A splatter of blood is a must, or else Halloween doesn’t seem like it. So here is a nail art that speaks volumes about the splattering of redness around. White as a nail polish base is used, with red sprinkles to bring about a creepy effect.